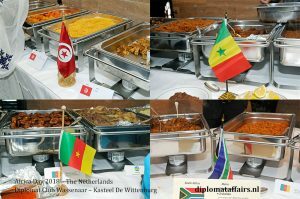 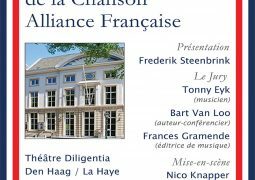 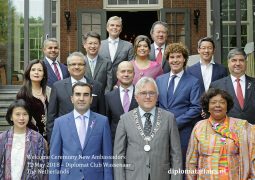 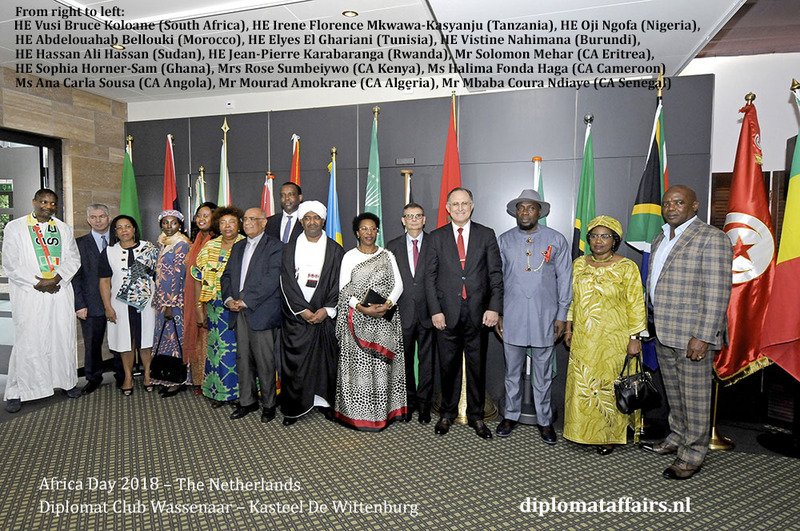 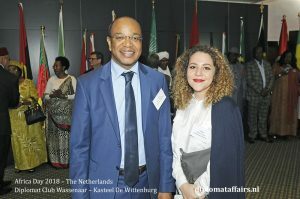 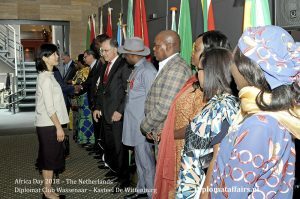 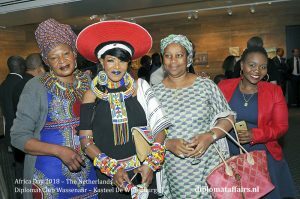 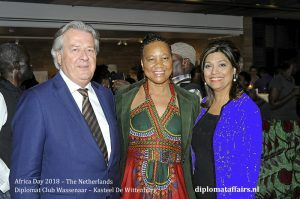 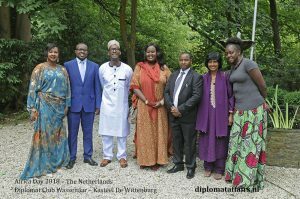 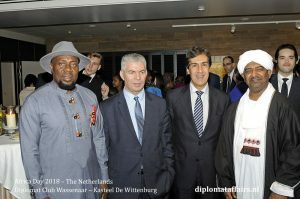 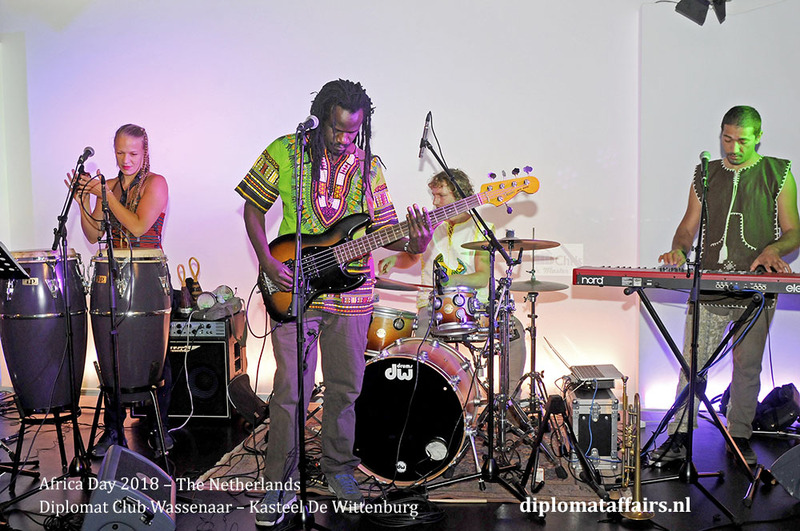 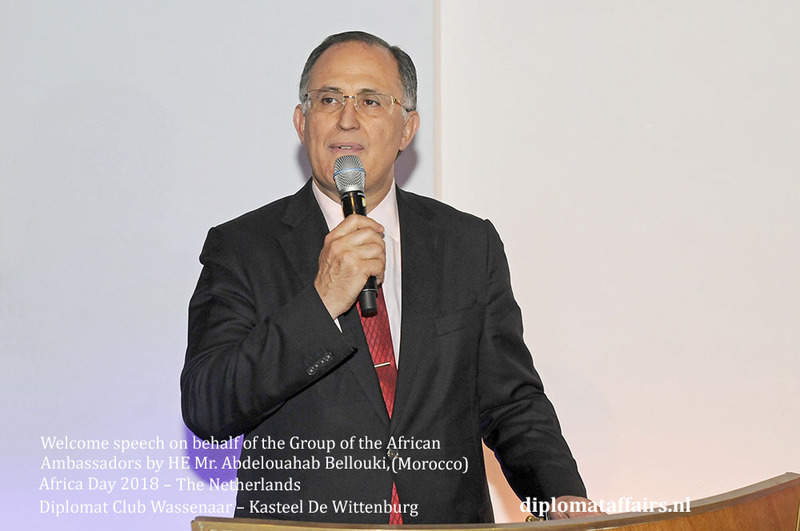 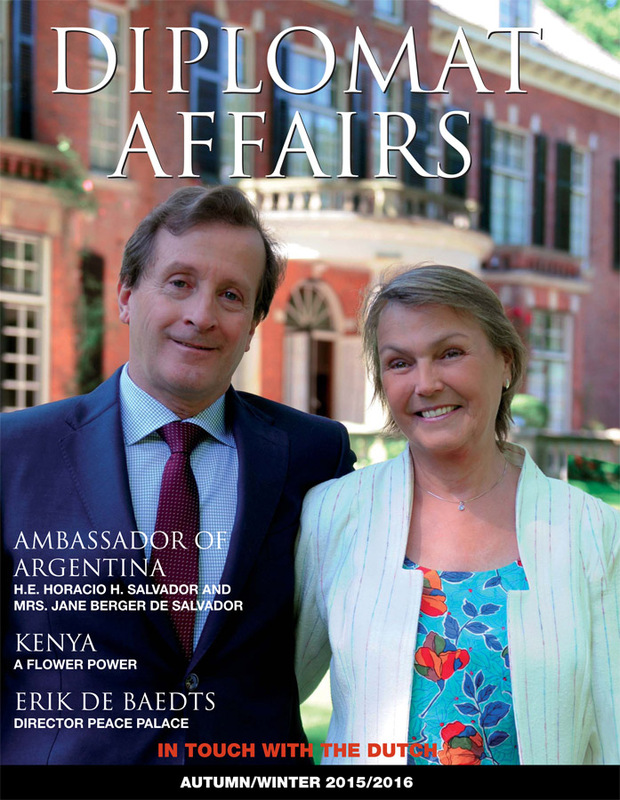 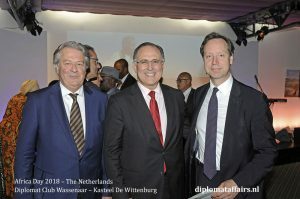 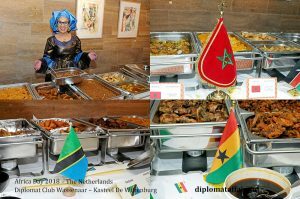 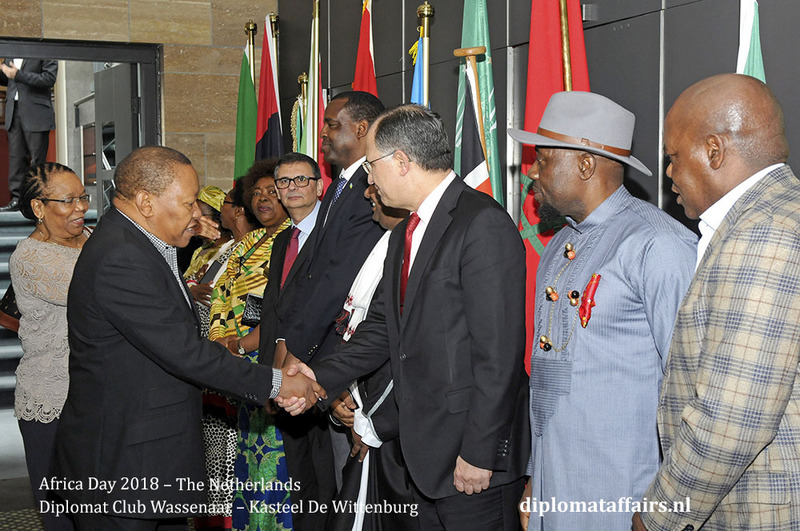 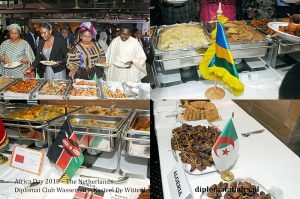 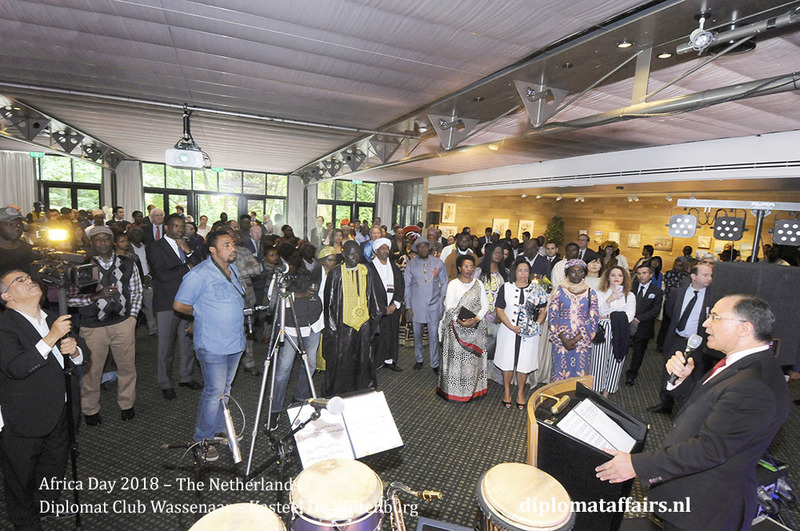 On 22 June, fifteen African countries, united in their diversity and vibrancy, joined in the celebration of Africa Day at Diplomat Club Wassenaar – Kasteel De Wittenburg: an occasion commemorating the founding of the Organization of African Unity in 1963. 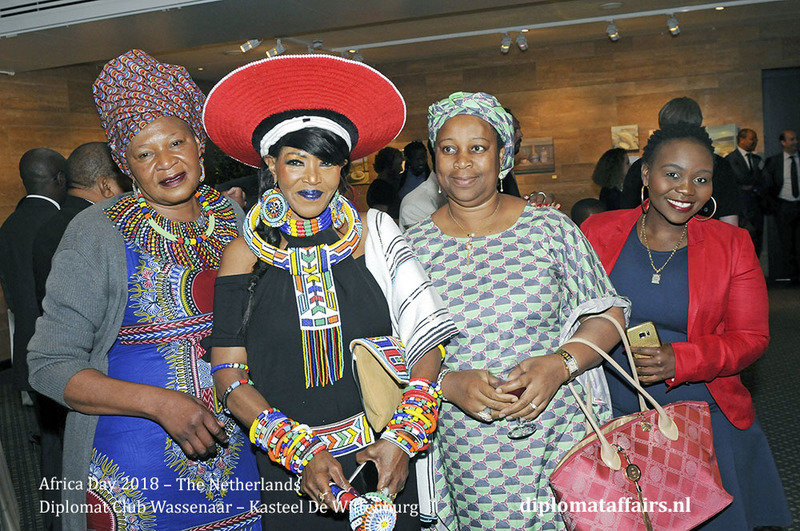 What an event it was, with hundreds of guests filling the ballroom and garden in an explosion of colour, fabric and style, including elaborate headwear and intricate beading. 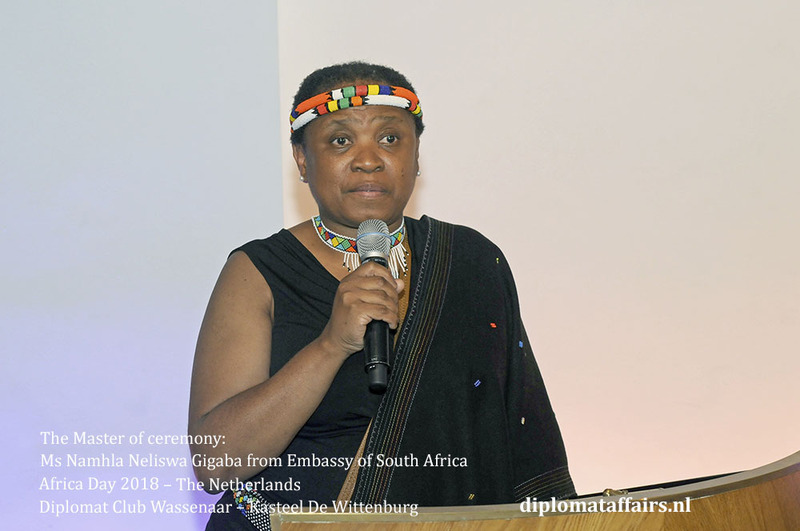 The Master of ceremony, Ms Namhla Neliswa Gigaba, from the Embassy of South Africa warmly welcomed the guests and HE Mr. Abdelouahab Bellouki, Ambassador of the Kingdom of Morocco to the Netherlands, held the speech on behalf of his fellow African Ambassadors. 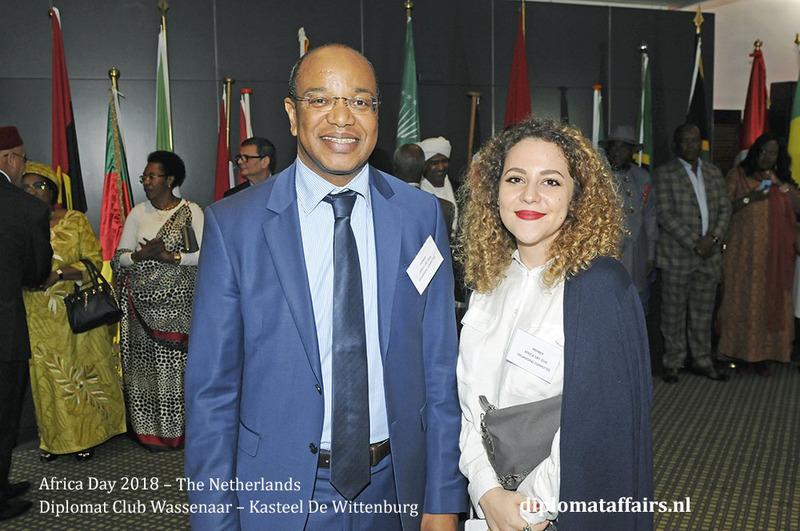 A report issued by the United Nations Commission for Africa (UNECA), estimated an annual illicit financial flow between Africa and the rest of the world of around 73 billion dollars from trade mis-invoicing alone, in the period 2000-2015. 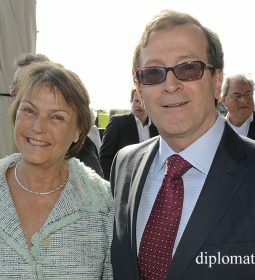 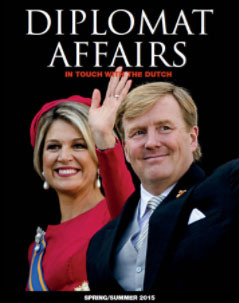 As he said : “ Corruption is a destroyer of human prosperity” and sadly an image frequently linked to Africa. 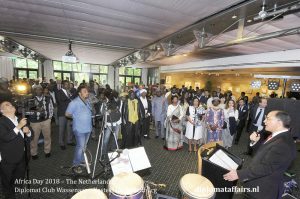 The change of values is of particular importance amongst the youth seen the continent has the youngest population on earth. 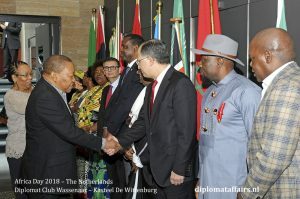 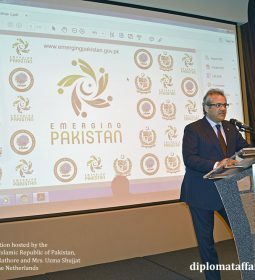 His Excellency mentioned that by 2050, there will be 2.5 billion inhabitants in the Continent, half of whom will be under 25 years of age, which constitutes an enormous asset, especially linked to the recent creation by the African Leaders of the largest free trade area in the world showing the shared determination to build a new Africa for the future. 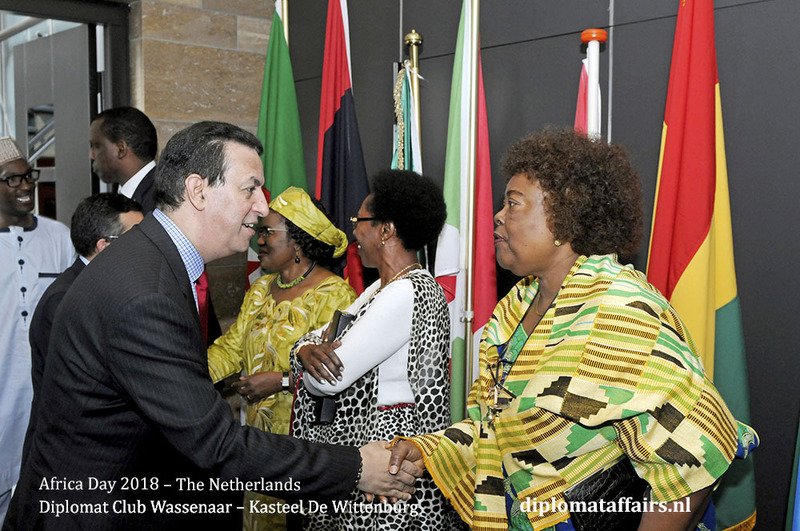 I cannot say it better than Ambassador Bellouki: “What is more wonderful than an Africa of good governance, democracy, and respect for human rights, justice and the rule of law. 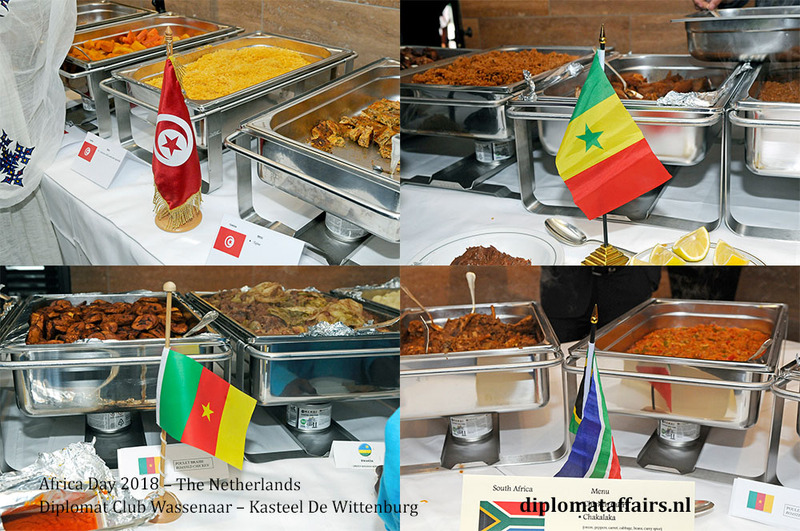 And to celebrate this inspiring goal, guests were treated to a beautiful and delicious buffet, consisting in a wide array of mouth-watering dishes representative of all 15 African countries present, to the sound of an African band which had us dancing the night away. 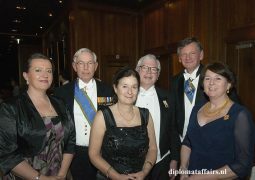 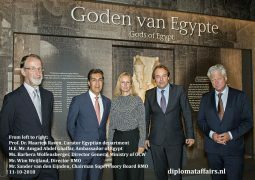 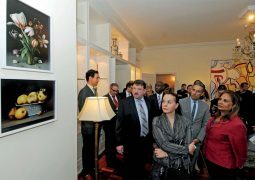 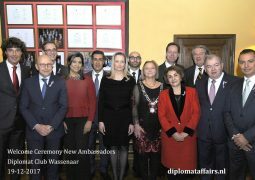 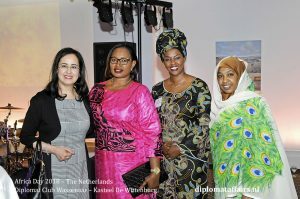 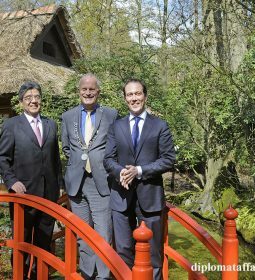 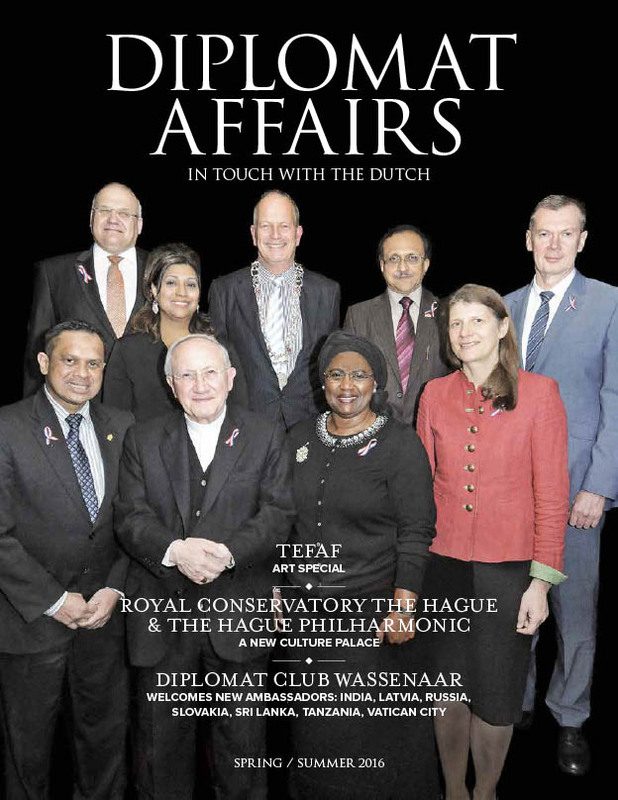 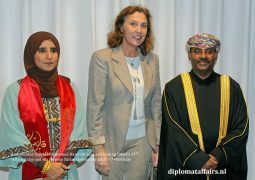 The African Ambassadors thanked Kasteel de Wittenburg and Diplomat Club Wassenaar for their kind support in making this event a success. 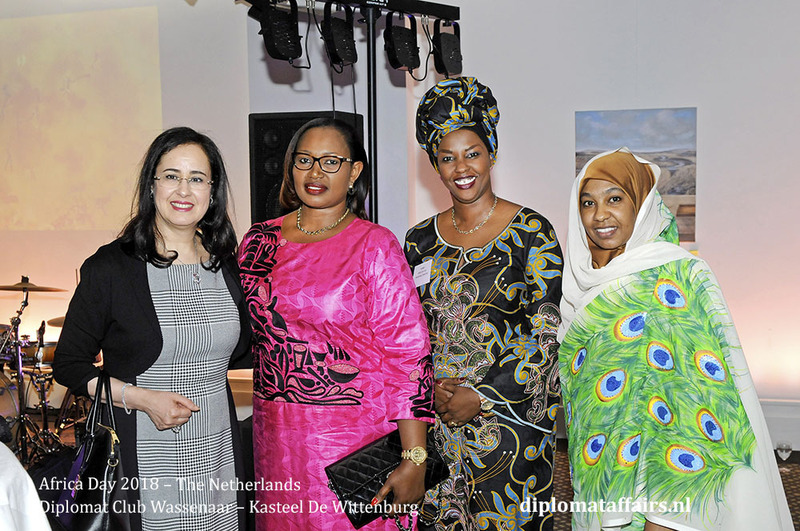 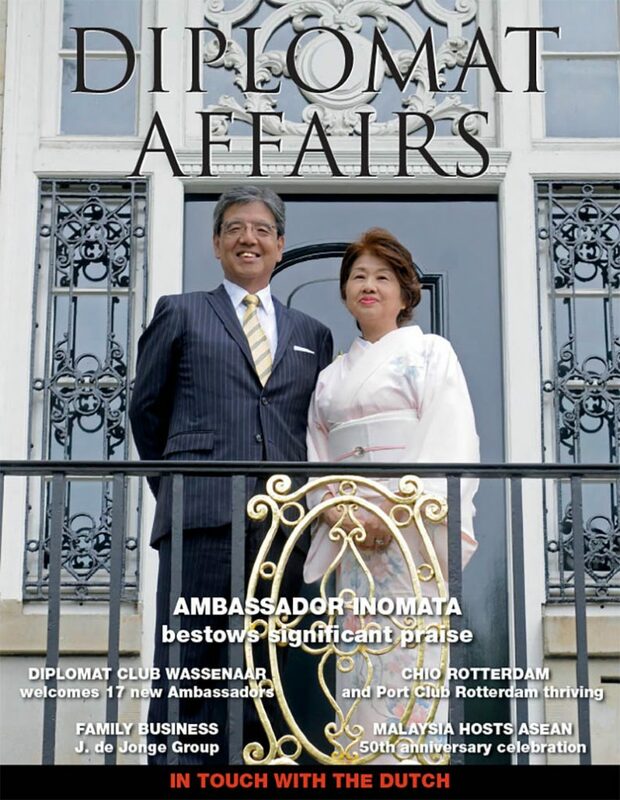 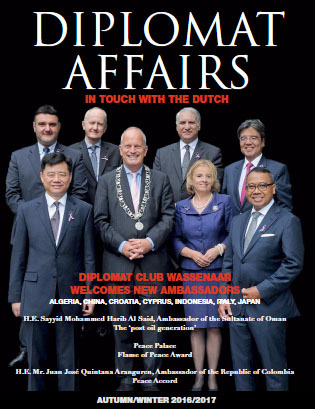 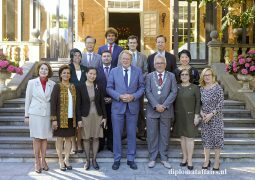 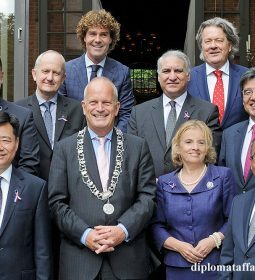 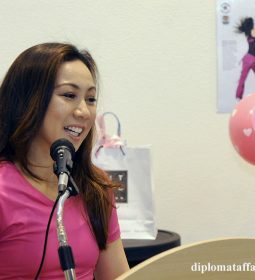 For us at Diplomat Club Wassenaar, welcoming fifteen of our member Ambassadors in celebrating Africa day was certainly one of the highlights of our four year existence. 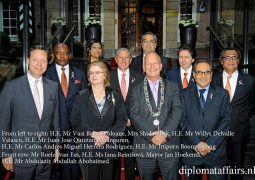 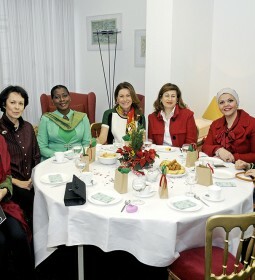 HE Vusi Bruce Koloane : Ambassador of South Africa, HE Irene Florence Mkwawa-Kasyanju: Ambassador of Tanzania, HE Oji Ngofa: Ambassador of Nigeria, HE Abdelouahab Bellouki: Ambassador of Morocco, HE Elyes El Ghariani: Ambassador of Tunisia, HE Vistine Nahimana: Ambassador of Burundi, HE Hassan Ali Hassan: Ambassador of Sudan, HE Jean-Pierre Karabaranga: Ambassador of RwandaMr Solomon Mehari, Chargé d’Affaires of Eritrea, HE Sophia Horner-Sam: Ambassador of Ghana, Mrs Rose Sumbeiywo: Chargé d’Affaires of Kenya, Ms Halima Fonda Haga: Chargé d’Affaires of Cameroon, Ms Ana Carla Sousa: Chargé d’Affaires of Angola, Mr Mourad Amokrane: Chargé d’Affaires of Algeria, Mr Mbaba Coura Ndiaye: Chargé d’Affairs of Senegal.